After installation, the data transmission network is measured. Orbis offers devices and tools for measuring signal transmission in the network or in a single cable. 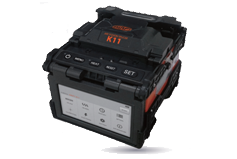 We also offer tools for fiber splicing and connector assembly. Our reliable, high-quality devices and tools are suitable for both occasional and heavy use.